Tuck Pointing, Brick and Chimney Repair Toronto | Turnbull Masonry Ltd > Blog > Blog > What Causes Chimney Brick Cracks? Have you noticed cracks running down one or more of your chimney bricks? Bricks are tough but they are not invincible, over time they need maintenance to keep them in good shape. 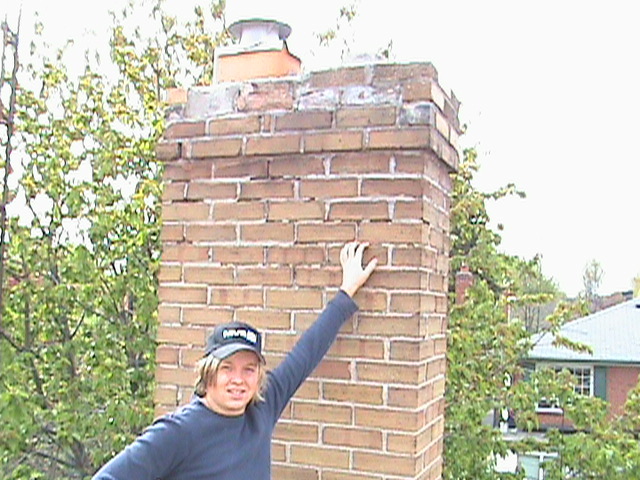 It’s only natural for brick chimneys to develop cracks due to regular use, weather, and other exposures. When caught early, chimney brick cracks might only require exterior maintenance, but when ignored more serious problems can arise. Unless your chimney runs through your basement or attic, the inside walls are not always visible, allowing early cracks and signs of alarming discoloration to potentially go unnoticed (Learn more). That’s why it’s so important to regularly check out your chimney from as many angles as possible. Here we explain what causes brick chimney cracks and some possible solutions for keeping your brick chimney in perfect working order. What Causes Chimney Brick Cracks To Occur? A number of things can lead to cracks and other problems with the brickwork on your chimney. Where you live and the type of weather you experience plays a big role in how much wear and tear the brickwork on your home faces. Here we explain some of the most common reasons chimney bricks form cracks. Improper Construction: A telling piece of information can be where the cracks are forming; for instance, if you see cracks in the brickwork at the top of your chimney, near the flue, insufficient space for fire fumes to escape might be to blame. This can cause the flue to expand after construction is complete, cracking your bricks and pushing them out of place. Speaking of construction errors, if your chimney rests upon a non-solid foundation it can get knocked off balance creating cracks and other brick damage. 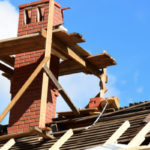 Problems with the actual construction of the chimney itself can lead to cracks too, for instance if your chimney was not built to accommodate the natural swelling that comes with temperature changes, aka thermal expansion, cracks are likely to occur. Weather + Water Damage: The weather is another common cause of chimney cracks, especially if you live somewhere with a lot of rain and extreme weather. 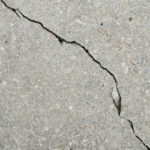 A crack can be a sign of water damage or current leaks taking place. Always make sure that your chimney cap is operating at peak efficiency to keep water from getting inside of your chimney flue, otherwise more serious structural damage can occur. Especially if the water has a chance to freeze and then melt, as frost creates some of the widest cracks in chimney bricks. Vines & Weeds: Notice any green vines growing out of your brickwork? Plants can cause big-time damage to your bricks by destroying the mortar holding them together. Since the roots are likely wound firm through the mortar you don’t want to yank live vines straight out, or else you risk creating a big crumbly mortar mess. Instead spray with an herbicide or plant killer of some sort, wait for the plant to die, and then use a putty knife to gently remove the foliage (see here). Chimney Antenna: A chimney-mounted antenna might seem convenient for satellite TV but beware that the pressure this places on your chimney can cause your bricks to crack and damage. Trauma: Earthquakes or other disturbances to the ground your home stands upon can shift things out of alignment and cause bricks on your chimney to crack or break. 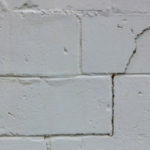 At a certain point any mortar or brickwork that shows cracks or crumbling will need to be replaced. Rest assured, your entire chimney will not have to be torn down; if problems are caught early on bricks can be fixed individually. Vertical cracks along bricks are so common they often go ignored, but remember even small cracks can lead to safety hazards down the line. Bricks that are completely coming loose or appear to be crumbling offer a more serious sign of damage and require a bit more work. 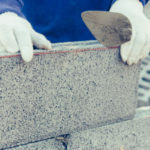 You must first remove the crumbly or loose brick, clean out the open space, and apply fresh mortar, before refilling the hole with a new brick. 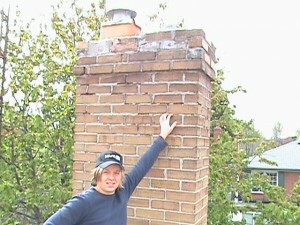 Checking brickwork frequently for new signs of cracks is adamant to keeping your chimney in safe working order. Concerned about cracks, crumbling, or other signs of wear and tear on your chimney bricks? Our team of experienced professionals at Turnbull Masonry will identify potential trouble spots and provide valuable solutions to keep your chimney working safely and efficiently.